Up next on Saturday at the O&J Foundation for Breakdancing and Other Talents (or simpley, O&JCFBAOT) was a visit from new friends to the Otis & James Family, Darrik & Betsy! The reason for this lovely visit – Engagement Snaps! After a long conversation in which Otis told his life story (and James slipped into a standing coma as this was the 14,192 time that she – yes, James is a she – has heard it all), we were off and running with this fun couple! They were totaly awesome to work with, and we would like to thank them for taking time to visit us, and for listening as Otis rambles on and on. Well, seeing as how this post is rambling on and on, let’s move on to some sample snaps from the festivities – Enjoy! Wow do they look in love or what. Great pics! They look awesome, you guys are hot!! hey guys!! so glad i could help you out a bit cause you guys look gooooood! You guys look great! Congratulations on your engagement & hope to see you in August… love, Molly in Idaho. Previous Previous post: The Ladies Harmon! 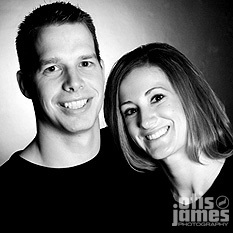 Next Next post: Dan & Lindsey!